Written by Sarasota Sun Devils on September 24, 2018 . Posted in Blog, Football Parents. In most cases, it is best to avoid complaining to the coach. Instead, let your child do the talking. If your kid wants more play time or has a problem with their involvement in their sport, let your child approach the coach and talk about this issue. This will allow your child to grow. However, if you feel the problem is too big for your child to talk about, approach the coach with the goal to learn from the conversation, rather than make accusations. Try asking open-ended questions and listening to what the coach has to say when voicing your concerns and sharing complaints. Remember that what is best for your child and what is best for the team isn’t always the same thing. View the situation from all perspectives before approaching the coach. Also, remember that the coach isn’t there to make you or your child happy. The job of a coach is to help a team perform their best. Sometimes that involves making decisions that may be upsetting to some players and their parents. Most of the time, it’s best to trust the coach and watch from the sidelines. Do you have a child who is interested in football or cheerleading? If so, sign your kid up for the Sarasota Sun Devils! 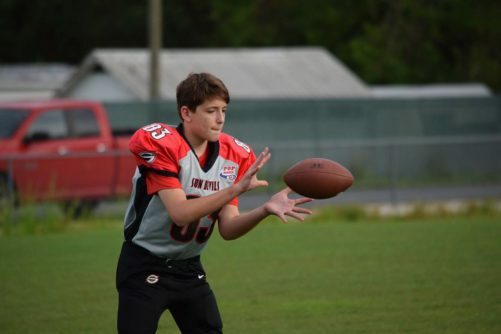 Our youth football and cheerleading teams are designed to help children learn to work as a team, as well as increase their scholarship and work ethic. Learn more about our teams by visiting our website today!